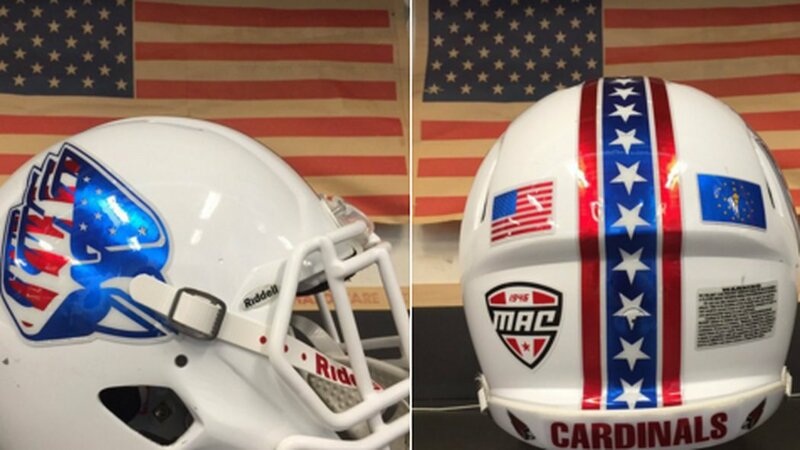 As for Ball State, they’ve gone stars/stripes in past years, but it appears that they won’t be doing that tonight. Why does Ball State hate our veterans? • Another team putting a glossy stars/stripes logo on a matte black shell: UNLV, which will be hosting BYU tomorrow night. • And then there’s Vanderbilt. For Saturday’s game against Kentucky, each player will wear a fallen service member’s name as the NOB, with the deceased’s military branch appearing as a jersey patch. Of course, saluting fallen soldiers would be more appropriate for Memorial Day, not Veteran’s Day, but whaddaya gonna do. I’m sure there are plenty of other military-tribute uniforms that I missed. If you know of any, feel free to post them in the comments. 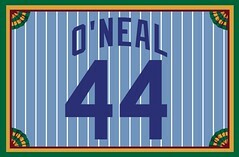 Membership update: A few new designs have been added to the membership card gallery (including Brian O’Neal’s card, shown at right, which is based on the Cubs’ late-1970s road uni). I have several open slots in this batch, which I plan to send to the printer early next week. New orders welcome! ’Skins Watch: The San Diego State University Senate — a group comprised of professors and other staffers, but not students — has approved a non-binding resolution to retire the school’s Aztec mascot (from Dave Wilson). Baseball News: Reprinted from yesterday’s comments: Here’s a video compilation of MLB players wearing the wrong uniform element (from Mark in Shiga). … The latest franchise in the Prospect League — that’s a summer wood bat college circuit — will be called the Hannibal Hoots (from Kevin Eckhoff). NFL News: “On his weekly radio show, Texans head coach Bill O’Brien was asked, ‘What is your favorite uniform combination? '” says Greg Patton. “He never revealed his favorite, but he made it clear that he hates the white-over-white look. Surprisingly, he loves the Color Rash. 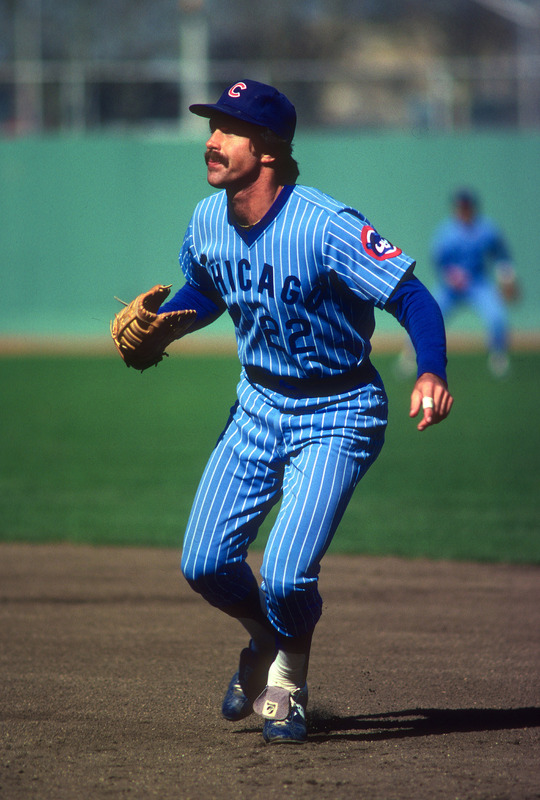 He also likes the blue pants with the red alternate. It’s all at the 20:37 mark here.” … Sensational artwork in this 1968 NFL TV viewer’s guide. Definitely worth clicking on the thumbnails to take a closer look (big thanks to Ray Hund). … With the Seahawks set to go mono-neon tonight, here’s a look at the team’s uniform history (thanks, Phil). … My two favorite teams are a combined 1-16 and are playing each other this Sunday. Fortunately, I have better things to do that day. College Football News: Throwbacks on tap tonight for Pitt. 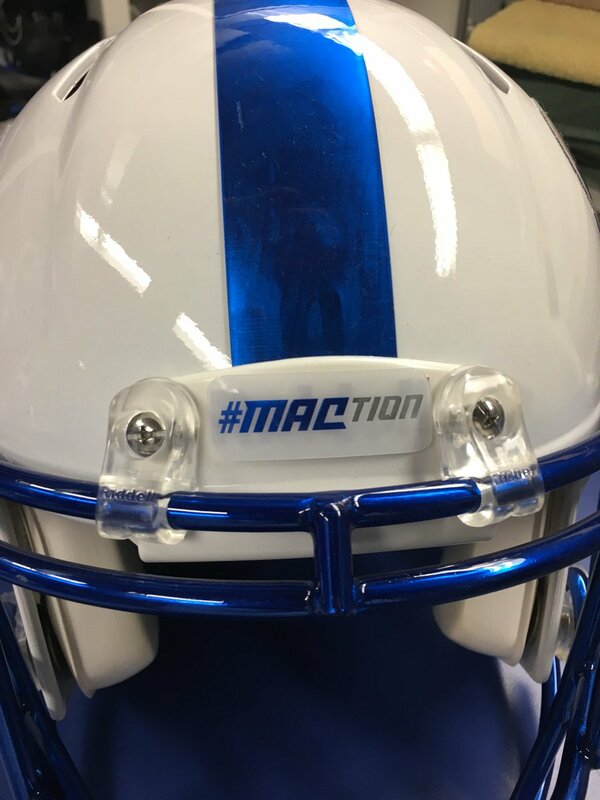 … SUNY-Buffalo has added a #MACtion nose bumper decal, although you can still the Riddell logo bleeding through (from Will Edge). … Dartmouth has added a Fenway Gridiron Series decal for tomorrow’s game against Brown. 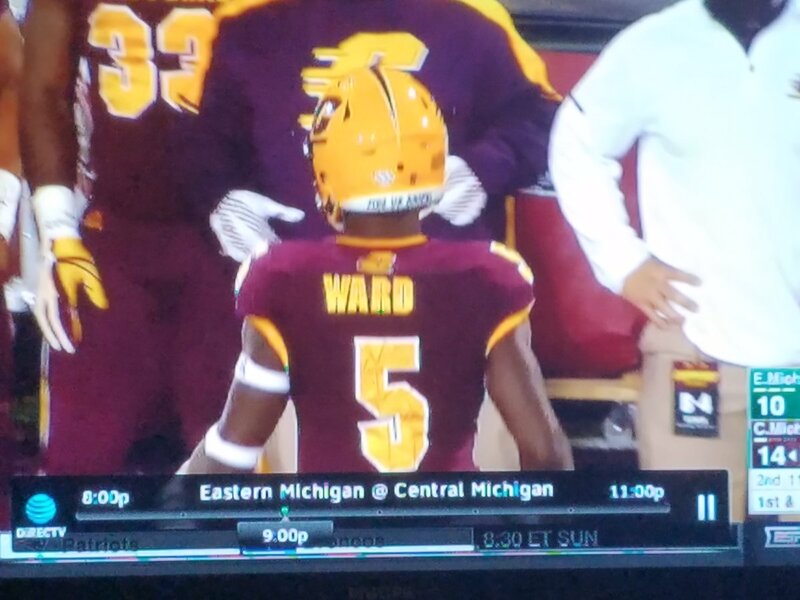 … CMU RB Jonathan Ward had an off-center NOB last night, or maybe jersey was just stretched out of alignment (from Joseph Lombardo). Hockey News: Love this shot of Gordie Howe apparently wearing someone else’s pads! Note the crossed-out No. 22, replaced by Howe’s No. 9 (from Brian Wulff). … The QMJHL’s Gatineau Olympiques will play the OHL’s Ottawa 67’s outdoors in Ottawa on Dec. 17. “The rink will already be there for the NHL Habs/Sens outdoor game, so the juniors will take advantage and host a game,” says Wade Heidt. … Also from Wade: The Canadian teams are all wearing poppy helmet decals in advance of Remembrance Day, as seen here on the Canadiens, Flames, and Maple Leafs. NBA News: The Nuggets are doing some sort of ABA/’70s promotion tonight. No throwback unis, or at least I don’t think so (they’re not among the eight teams slated to wear throwbacks this season), but G Jamal Murray has some pretty cool sneakers for the occasion (from Aaron Kastner). 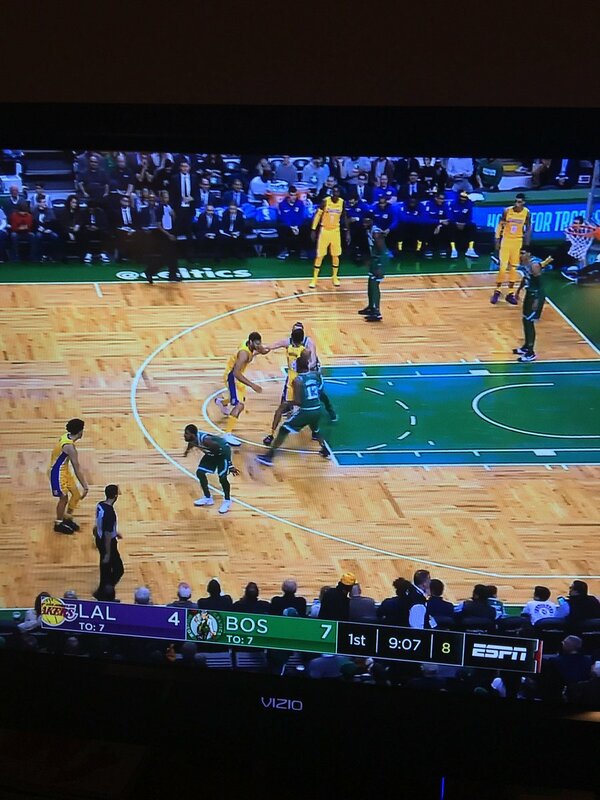 … It’s not unusual to see the Celtics and Lakers going green vs. yellow. But it’s unusual to see it taking place at Boston Garden, which is what happened last night. … Whoa, look at these vintage NBA Starter jackets! 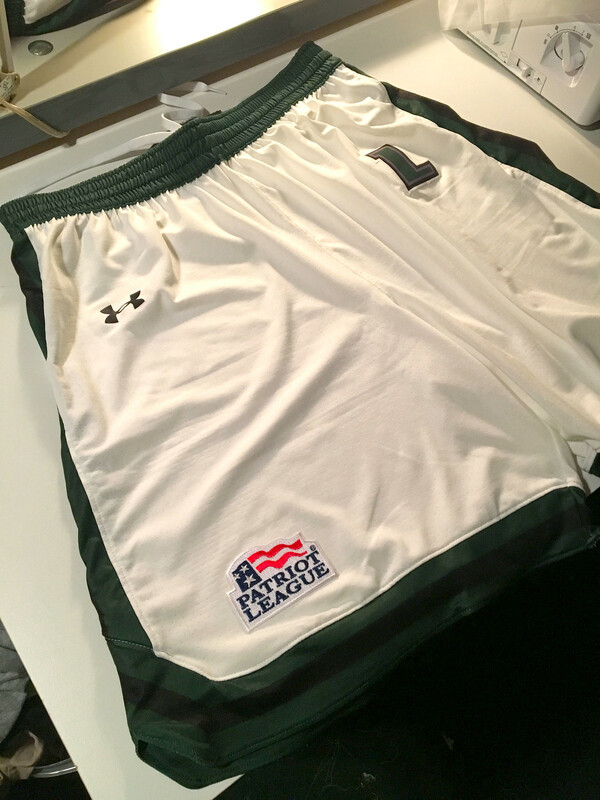 College Hoops News: “I can’t speak to what the jerseys look like, but the Loyola Greyhounds at least have new shorts this year for the both the white and gray sets,” says Joe Hilseberg. “I know, because I put all of the Patriot League patches on them last night! Their first game is Friday against Northwestern, so we’ll see the tops then.” … Latest step in the sad march toward Idiocracy: The WVU/Pitt rivalry series now has a corporate-sponsoredadvertised name. Douchebags (from Nelson Warwick). Grab Bag: Here’s a timeline of Aussie rules football logos (from Jeremy Brahm). … Nike’s new contract with the U. of Washington includes a new clause that allows a watchdog group to inspect Nike’s overseas factories. “Many other colleges and universities around the country are expected to follow,” according to the article (from Markus Kamp). 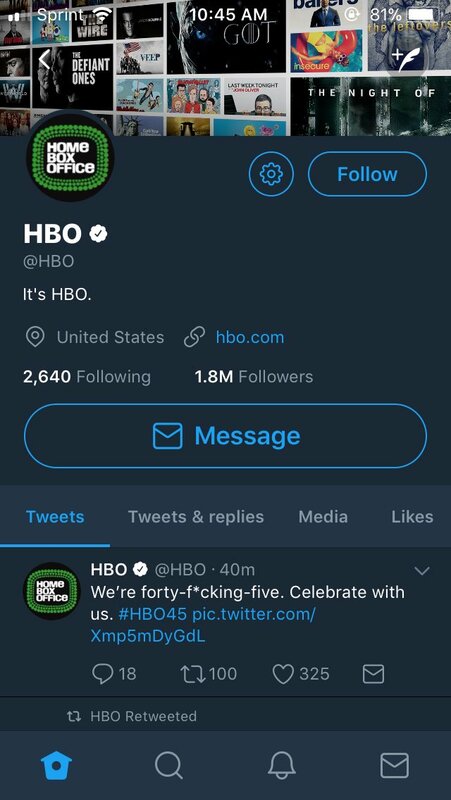 … Non-sports throwback: Yesterday was HBO’s 45th birthday, so the network was using its old logo (from Robert Hayes). … New logo for the city of Raleigh, N.C. (from James Gilbert). … Holy moly, check out these amazing color photos from the 1939 World’s Fair here in NYC (big thanks to my ESPN colleague Dave Wilson). … Not sports-related, but this piece on the year in push alerts is a great piece of interactive media design. Those World’s Fair photos are simply amazing. I wonder if we’ll ever see its like again. Thanks Paul. Never knew that the Parachute Jump (the Eiffel Tower of Brooklyn) was at the ’39 World’s Fair before its location at Coney Island. Back in the 50s, my mom was stuck on that ride for over an hour due to a mechanical problem. Texas forgot the Coast Guard. There’s a pretty big Coast Guard presence in that state, and they helped with multiple rescue and recovery operations during and after all the hurricanes in recent years. 1) Actually, Steve, this website is and has always been my personal soapbox. Not sure how you’ve missed that over the past 11+ years, but I’m glad we’ve now cleared it up for you. 2) The icon you refer to (which has appeared on the site quite a few times over the years, but I guess you haven’t noticed that either) is from an advertiser who wants the image to speak for itself (i.e., it doesn’t link to anything, at least for now). If you’d like to advertise a message of your own, I’ll be happy to consider it. Let me know. Steve you should use this site for Paul’s uniform-based updates and ignore the rest. That’s what I do. Remember, the first amendment is first for a reason. Accept that and move on. Sorry, misunderstood your post. Reading. Comprehension. Much? Congratulations to the Hannibal Hoots – the latest team to unveil a new logo with the baseball laces going in the wrong direction. 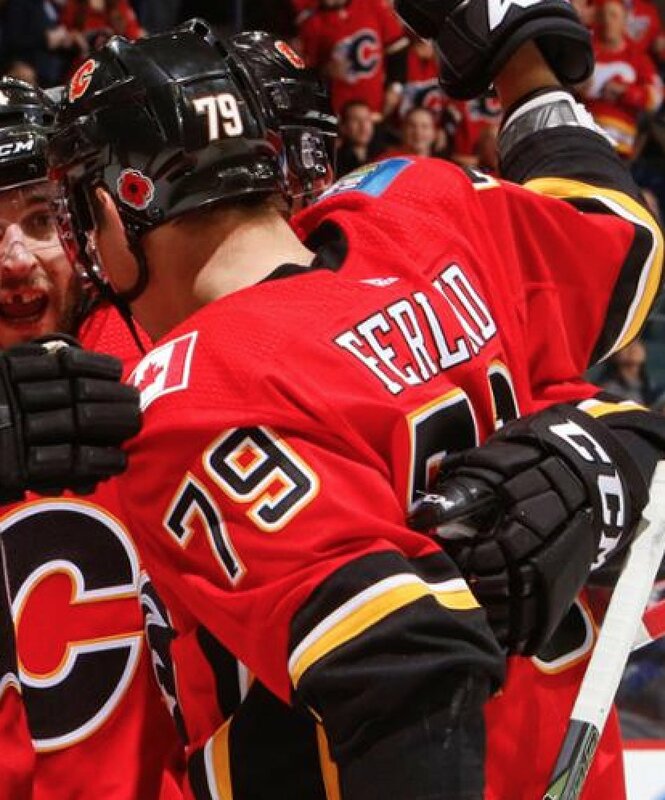 that’s a great catch — has someone ever compiled a collection of all those confused logos? Love the New England Whalers’ dressing room in the Gordie Howe photo. A throwback dressing room! That is some great wood paneling and shag carpet. Does anyone else think it’s hilarious that Ole Miss, a team named for a group that attacked and killed many US servicemen, is wearing a flag decal for veterans day. Because no one from Mississippi has ever served in the U.S. military. I think BigNick was just pointing out that they are the Rebels, named after a group that fought against the US Army under the confederate flag. It is sort of like if the Padres put a yarmulke on their friar logo to mark a Jewish holiday… just don’t make much sense. After the Civil War, in an effort to “reunite” the nation, veterans from both sides were treated as “US military veterans” with rights to be buried in federal military cemeteries, etc. So in way, all Civil War vets, regardless of side, are US vets. I know nothing about this, so I’m just throwing the question out there. Is borrowing the name “Eskimos” offensive? I mean if they have an outrageous mascot like Wahoo or something I can see that. However borrowing the name “Eskimos” doesn’t seem offensive. Unless the word “Eskimos” is a insult in itself, like the Washington Football Team’s name is to some. Again I’m admitting to knowing nothing about this, that’s why I’m asking. The problem isn’t just whether the name is offensive or not (Redskins vs Braves), the issue is appropriating someone else’s culture and turning it into a mascot or nickname. The word might or might not be an insult – it might be a derogatory term that the Cree (who lived near Edmonton) had for the Inuit (who lived nowhere near Edmonton). The origin of the word isn’t clear. In any event, its not a word that anyone has used for the native people of the far north in decades. I went to school with the mayor of Winnipeg. He’s a good man and his fresh perspective on indigenous issues is badly needed in the prairie cities. I don’t see this gaining much traction. “Eskimos” was chosen for its alliterative quality, not to honor/exploit indigenous peoples. The name has never been referenced with anything but words or initials, as far as I can see. Look at all those uniforms disrespecting the flag code. Awaiting the uproar…never. Weird. Almost like being mad at the protestors was veiled *something* *something*. The Flag Code has no enforcement mechanism (and if it did, it would be shot down as a First Amendment violation in about two minutes). It’s basically just a set of suggested etiquette standards. There are lots of good reasons to oppose stars/stripes uniforms. Let’s make those arguments instead of playing Flag Code Gotcha. The flag code talks about desecrating the flag (an actual flag)–as in taking an actual flag and making a pair of pants out of it; not printing stars and stripes on a paper plate or helmet decal. The word “MUST” never appears in the flag code. As Paul stated, the code imposes no penalties. Ah, you’re right. I misread the “actual flag” bit. Still, it rubs me the wrong this bathing in the flag as a “look how patriotic we are” stand. Yeah, like the time that far-righty Kid Rock cut a slit in an actual flag and wore it as a poncho. You’re right that the flag code cannot be enforced due to the first amendment, but I think you’re incorrect of the “actual flag” part of your interpretation. Section 176(i) reads: The flag should never be used for advertising purposes in any manner whatsoever. It should not be embroidered on such articles as cushions or handkerchiefs and the like, printed or otherwise impressed on paper napkins or boxes or anything that is designed for temporary use and discard. Advertising signs should not be fastened to a staff or halyard from which the flag is flown. I think you’re correct that you can print stars and stripes not assembled as a flag, but an image of a full flag would be against the code. Retire the Aztec mascot? Why? Radical suggestion: Read the article. If this dust-up results in the removal from SDSU uniforms of that beautiful indigenous artwork, we are all the poorer for it. Loved that throwback NFL guide from 1968. Pretty savvy move from GE there as the advertiser (here’s some information about football, and did you know it looks best on one of our television sets?) Also liked their “who plays where” thing, as this was the age before we called them running backs and wide receivers. Fascinating. Looks like those Starter jackets may be throwbacks and not vintage. Look at the Cavs one: recent word mark and logo. I’m with Bill O’Brien regarding Texans’ red jersey / blue pants look. In general their red jersey works much better, with the navy jersey and navy helmet they just look a generic rip off of the Bears. Hey Phil Hecken, I never noticed that you have your own logo! Bill O’Brien hates the white over white? I find that interesting coming from a former Penn State coach. Love the green shag carpeting in the Gordie Howe photo. That is about as 1970 decade as you can get. My understanding is that the Peace Corp is intentional avenue for global corporate interests into 3rd world countries. Neo-colonialism as laid out by John Perkins’ Confessions of an Economic Hit Man. Not sure if I want uniforms to honor that. I live in San Francisco, but only since like 1999. It still amazes me that Kezar Stadium (which still exists, but seats less than 10,000) used to be where the 49ers played, and sat 59,600! These days football Sundays would be a decided cluster-f**k, and while I imagine it was less so in the 60’s, it still had to be crazy. Watched the final 14 seconds of last nights game between Raptors and Bulls. First I realized 14 seconds in the NBA takes about a half an hour. Second I realize the Bulls coaching staff were not wearing a poppy. When Minnesota was visiting the Maple Leafs earlier this week their coaches were wearing a poppy. As Canadians predominate throughout the NHL, it’s likely that there were enough Canadians on the Wild travel party to make sure that poppies were sported. Hard to say if anyone is at fault here — either the Bulls for not being culturally aware, or the Raptors for not offering their guests the chance to wear poppies. So you’re saying Americans are clueless about November 11th? Vanderbilt plays Kentucky this Saturday, not Missouri. Will Kentucky keep the chinstraps and helmet stickers from last weekend for this game? Airforce flyovers, military personnel on field during national anthems, camo-uniforms, hats,and jackets. Professional sports IS political. There is no separation.